Quality assurance in peer support programs is a crosscutting issue that affects individual peer supporters, program staff, host organizations, and public policy. 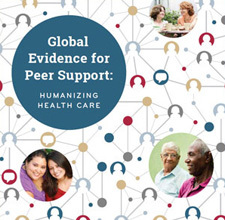 Assuring the quality of peer support programs is not only important for patient outcomes and satisfaction, but also plays a key factor in securing payment and program sustainability. Quality assurance may be demonstrated by following and documenting recommended training, monitoring, and evaluation measures. In recent years, quality assurance guidelines have been established at the state levels to provide oversight of the community health worker and mental health peer specialist workforces. Generally speaking, certification of individual peer supporters has led to greater recognition of their roles and contributions, and in some cases, has led to reimbursement for services provided. While the trend in many states favors certification of individual peer supporters, accreditation of programs or organizations merits serious consideration as a model for quality assurance. By emphasizing the responsibilities of a host organization to manage and support the work of peer supporters, program accreditation may provide a more comprehensive approach to quality assurance. Furthermore, because many organizations have long histories of effectively running peer support programs, accrediting these organizations serves to recognize their track record and proficiency. This guide was co-developed by Peers for Progress, Center for Health Law & Policy Innovation at Harvard Law School, and NCLR. It is intended to provide payors, including state Medicaid programs, with guidance in establishing and implementing quality standards and credentialing procedures for CHW programs and CHWs. In most states, it will be advantageous for both individual- and program-level certification to be available. Together, these approaches can open new opportunities for payment and sustainability. To assure that programs maintain the community- and person-centered features that are central to their effectiveness, certification needs to protect the flexibility and local tailoring of programs. Development of these guidelines should include input from consumers and peer supporters in the field. The Resource section contains documents that can help to better understand how quality assurance has been implemented to date and how to improve these systems. Accreditation and Certification: Benefits challenges and opportunities for peer support This document describes some of the benefits, challenges, and opportunities for accreditation in peer support. New Accreditation Model for Peer Support This document reviews the Council on Accreditation of Peer Recovery Support Services, the only accrediting body in the US for peer support services. What does this model of accreditation signal for the future of peer support programs? Peer Specialist Training and Certification Programs: A National Overview This report from the Center for Social Work Research of the University of Texas at Austin provides detailed information on peer specialist training and certification guidelines for every state. Featured Quality Assurance Resources This webpage provides a selection of resources on the certification of mental health peer specialists and community health workers. Peers for Progress shares these resources to help readers understand the current regulatory landscape and encourages the development of complementary quality assurance methods. Council on Accreditation of Peer Recovery Support Services This is the website of the Council on Accreditation of Peer Recovery Support Services which is the only accrediting body in the US for recovery-centered community organizations and other programs offering peer recovery support services for addiction. In the first round of awards, five organizations received full accreditation status. CARF International (Commission on Accreditation of Rehabilitation Facilities) This site provides helpful information about the rational and the overall process of accreditation. RE-AIM website The website provides background and tools for applying the RE-AIM model. Russell Glasgow’s presentation on the RE-AIM model This presentation introduces the basics of and key issues addressed by the RE-AIM model. The University of Kansas Community Tool Box – Chapter 12: Evaluating the Initiative This section includes guidance, basic steps as well as examples for evaluating a community program or initiative. The US Centers for Disease Control and Prevention Evaluation Working Group’s program evaluation framework This section provides a host of descriptive information and practical tools for general program evaluation for public health programs. WK Kellogg Foundation: Evaluation Handbook This handbook outlines a blueprint for conducting program evaluation for the Foundation’s grantees. STAR Center’s Cultural Competency in Mental Health Peer-run Programs and Self-help Groups This tool was created to help mental health, consumer-operated programs and self-help groups assess their own cultural competency. The National Diabetes Program Evaluation Framework This paper demonstrates how to design an evaluation of a multifaceted diabetes education program. This framework has helped program planners and evaluators develop measurable short-term and long-term outcomes. Joint Commission Accreditation Behavioral Health Care’s Standards of Performance for Accreditation This document includes standards for peer support programs, such as staff orientation and training, methods for providing support, communication techniques, and crisis recognition.